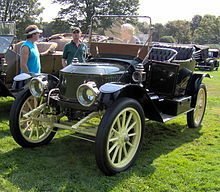 Pictured above is a steam car. No rattling, no dirty emissions, but a lot of hissing and emission of water vapor, steam. With the detrimental effect of constantly 'filling up' water. From the statistics I learned that, '40% of the cars that were registered, went on steam, ' that drew my attention. That was the majority of the American vehicle fleet in the early nineteen hundreds. Striking things lead to research, some of my colleague writers are aware of that from past work experience and research. I decided to find out what had brought the steam car about. I came across a Flemish Jesuit. It turns out that the first vehicle with steam power was built in 1672 by Ferdinand Verbiest, a Flemish Jesuit monk. The vehicle was given to the then Chinese emperor. The Verbiest device is probably the first ever motor-driven vehicle. If you realize that Shakespeare wrote his great dramas in the sixteen hundreds, and Vondel, our great poet, died in 1679, you realize the impact of a steam powered vehicle in that time span. From my student time in Historical literature with a specialization in the 17th century, nothing but absolutely nothing was known to me about steam engines. Does modern man then live in a bubble that is only related to his or her time? Are we so arrogant that we think that everything has only been developed in the last 100 years, apparently so. I looked at many pictures of steam cars and they looked elegant. This shows that our thinking is determined by our perception and by assumptions. I had expected locomotive-like vehicles, but none of that. Actually they looked the same as the 'old timers', which we are used to from museums and which run on petrol, say a Grandma Duck car. I realized that my train of thought had been guided by my worldview, something that our former professor Hannah Stouten had always warned us against. Her advice was, 'ask the right questions and you will learn through research about the time plane ..' .. I had not asked questions but I had just assumed that I knew what a steam car would look like .. like a locomotive. It was the other way around, the steam cars evolved from converted horse carriages to elegant vehicles. With the arrival of the petrol car, encouraged by enormous finds of petroleum, which made petrol cheap, the shape of the car already existed. Instead of an external combustion engine, (steam engine) they were replaced in the same compartment with an internal combustion engine (petrol engine). . I decided I wanted to know how old the steam engine was, because it is clear that the Jesuit monk had made an application for the steam engine. He had used it as a drive mechanism for a vehicle. There is actually nothing new under the sun, it is only the creative mind that constantly finds applications for existing concepts. He had converted an up and down movement into a gyrating one and thereby creating a propelling force. What kind of engines actually existed? We have jet engines, which are propulsion engines, action is reaction and behind the engine a beam of combustion propels a vehicle. The diesel engine which, just like the petrol engine, is an internal combustion engine and the electric motor and I almost forget it again, the steam engine. Nevertheless, the steam entity with its steam engines is still actively present today in nuclear power stations. The fuel may have changed from coal to diesel to radioactive fission materials, the principle remains the same, steam is generated and that drives a turbine that takes care of our electricity as a giant dynamo. Back to the key question, who already knew about a steam engine in the past or invented it and when was that? 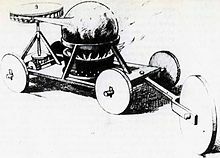 The first recorded rudimentary steam engine was the aeolipiel described by Heron of Alexandria in 1st-century Roman Egypt. 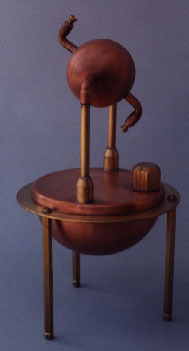 Experiments were carried out with various devices with steam power, such as the Taqi al-Din steam engine, a steam turbine in the 16th-century Ottoman Egypt and Thomas Savery's steam pump in 17th-century England. But was Heron of Alexandria the inventor and what did this aeolipiel look like and what did it do? This is the aeolipiel. A barrel is heated and through the side tubes the steam goes up and leaves the l shaped pipes which results in a circular movement. But did Heron apply this or did he design it and was it useful? Let us begin with the benefits. The aeoliples, as described in his manuscript Spiritalia seu Pneumatica, caused a spinning movement. This suggests that the conversion of steam pressure in mechanical movement in the 1st century was known in Roman Egypt. Heron also devised a machine that used steam in an altar fire to move a quantity of water from a closed vessel. The displaced weight of the water was used to operate heavy temple doors with a hidden rope. You can say that heavy manual labor was now done by steam. Vitruvius who lived in 80 BC, 180 years before Heron made his temple door mechanism, however, described the aeolipiel in his manuscript. 'the Architectura.' Annoying for Heron, he had only applied what Vitrusius described 180 years earlier. The Greek scientist Archimedes set fire to Roman ships with a steam cannon. The versatile Ancient Greek would thus have defended the Syracuse colony (in Sicily) against the Romans between 214 and 212 BC. According to Rossi's calculations, cannon balls of 6 kilos could be fired with these guns at a speed of 60 meters per second. This would take of ships that were up to 150 meters from the coast. That places a useful steam application at about 200 BC. I said it before there is little new under the sun, as early as 200 BC, remote technology took out a Roman fleet.